19 October marks the 40th anniversary in South Africa of the infamous “Black Wednesday”. On this day in 1977 in South Africa, then-minister of justice Jimmy Kruger banned The World and Weekend World. He justified the banning by stating that these publications were “publishing inflammatory material that threatened the nation’s security” and the paper’s editor Percy Qoboza and other journalists were arrested and jailed. 19 organisations were also banned and apartheid critics were detained. Among the organisations banned were BPC, SASO, Black Community Programmes, Black Parents Association, Black Women’s Federation, Border Youth Organisation, Eastern Province Youth Organisation, Medupe Writers Association, Natal Youth Organisation, National Youth Organisation, SASM, Soweto Students Representative Council, Soweto Teachers Action Committee, Transvaal Youth Organisation, Union of Black Journalists, Western Cape Youth Organisation, Zimele Trust Fund, Association for the Educational and Cultural Advancement of African People of South Africa. Banning orders were also served on Beyers Naude and journalist Donald Woods. 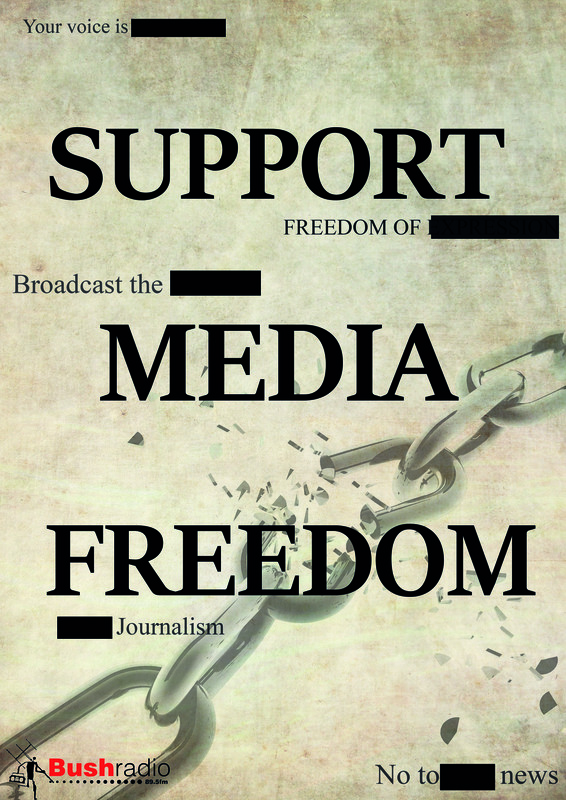 We have released the video and poster above in support of media freedom. Share and show your support. This entry was posted on 18/10/2017 at 9:42 PM and is filed under Projects, Uncategorized, Videos. You can follow any responses to this entry through the RSS 2.0 feed. You can leave a response, or trackback from your own site.